SOURIAU - SUNBANK Connection Technologies has exceptional experience in braiding different materials, sizes and shapes to ensure shielding against radio frequency electromagentic intereferences (RF/EMI). From stainless steel, tin-copper, nickel, bronze to Dacron, SOURIAU - SUNBANK Connection Technologies has exceptionnal experience in braiding different materials, sizes and shapes which are then incorporated as a protective physical layer within our conduit product series. Metallic braids integrated into cables and conduit offer beneficial functions of EMI/RFI shielding, improved signal integraty, strength and easy crimping or solder termination to a connector or backshell. 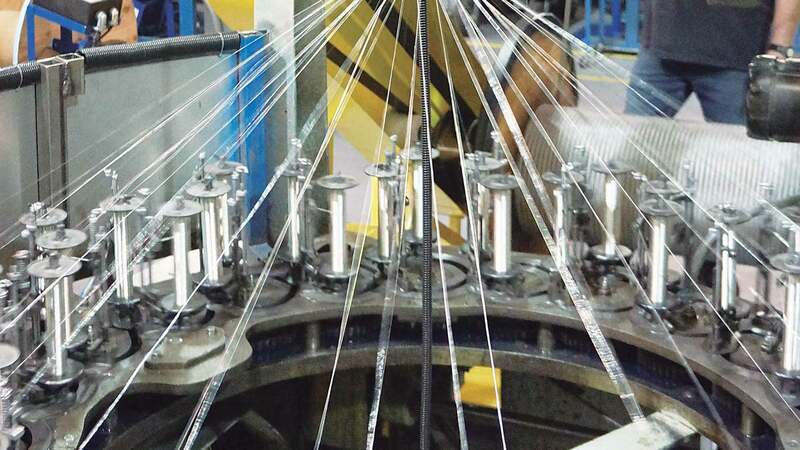 Half of the bobbins move in a clockwise direction while the other half moves in the opposite direction. Both intersect through a "sinusoidal path" as a central ring guides the strands through the entire process resulting in a locked braiding architecture. SOURIAU - SUNBANK Connection Technologies has a fully integrated process composed of bobbing winders and braiders. This porvides manufacturing flexibility and options to offer multiple braid layer configurations and custom solutions to accommodate your most demanding design applications. 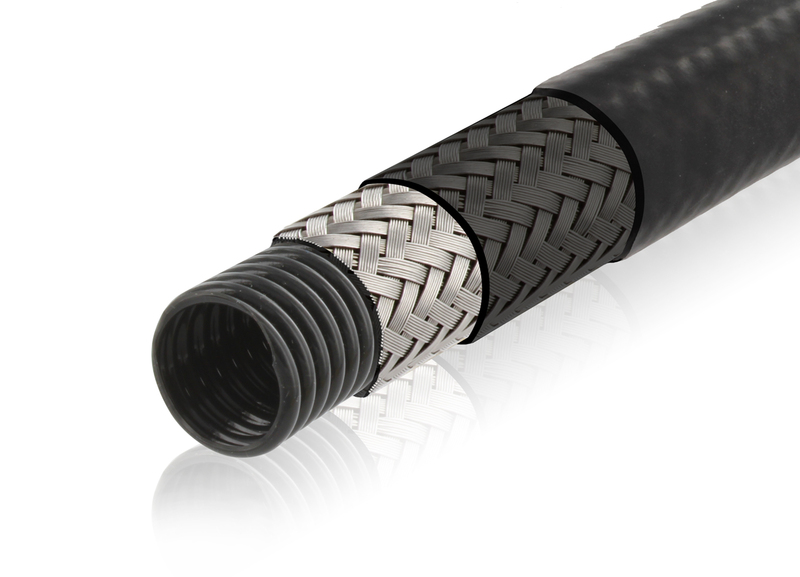 Click here to find out more about our braided conduits.